Mines’ Division of Economics and Business welcomes Professor Graham Davis back from teaching in Peru at GERENS Graduate School where he was named as the school’s first Honorary Professor. GERENS is a private university in Lima established in 1998 by a group of academics and investors to provide quality graduate education in Peru. Davis accepted this honor from Professor Jesus Armando Gallegos Monteagudo, Director General of GERENS. 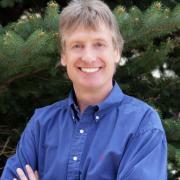 Davis is a professor with the Division of Economics and Business where he specializes in mineral asset valuation, real options, green national income accounting, and economic development of mineral-based economies.